Yes this is another BB cream review. I know I just might have exhausted the topic on the blog, but BB cream makes up a considerable part of my daily beauty routine. Since I use it often I was looking for a budget cream that comes close to rivaling my expensive products. 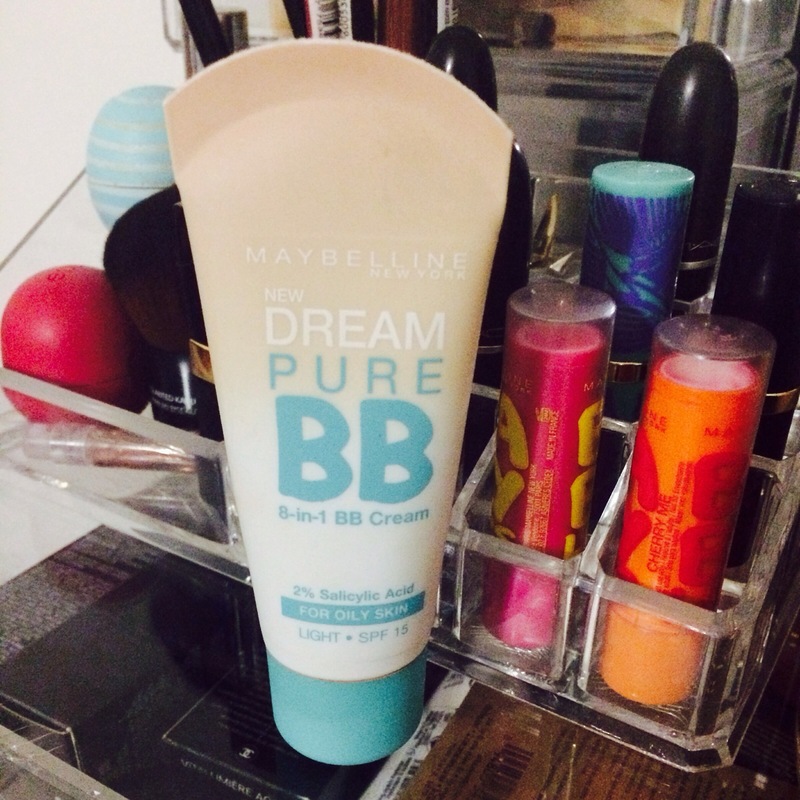 In my quest I came across the Maybelline Dream Pure BB cream, which was recommended by a friend. Texture: It is quite creamy but when applied it leaves a matte finish on the skin. So basically it has a cream to powder finish. Suitable Skin types: On the tube it states it’s for oily skin, since it contains Salicylic acid which keeps breakouts at bay. I have combination skin so when I used it for the first time I was impressed with the outcome. Due to weather conditions and using different products on my face in a short space of time I broke out with a few dry patches. I applied the BB cream with my skin in this condition and I felt it enhanced the dry areas, making my face look scaly . If you’re prone to dry skin or patches I don’t suggest this product. You could use a hydrating primer underneath which I tried out initially and it gave me a dewy fresh appearance. Shades Available : The colours on offer are Light, Medium and Medium Deep. Product has an SPF of 15 for UV protection, it’s a bit low if you’re fairer skinned so use a little extra sunblock. Coverage: Any BB cream aims to even out your complexion but the coverage is very light. A BB cream serves to blend into your natural skin tone and to make skin appear healthier. The Maybelline BB cream is no different in this aspect. Reapplication might be necessary if you’re out all day. The great thing about BB cream it can be applied on the go blending it in with your fingers. Size and Price: 30ml for R100. As I mentioned this product is quite creamy so you don’t need a ton of product, this should last a month or two depending on how often you use it. Verdict: This product is most suited for oilier acne prone skin, I feel it balances out the oiliness leaving the skin feeling smooth. So I haven’t found the ideal budget BB cream to suit my needs but this came pretty close. No this isn’t the last of my BB cream obsession so lookout for more. Have you tried the sorbet one? I am quite a fan of it, also the garnier pure active is great.